I have been active on extension programs target growers as well as Cooperative Extension agents with training in disease identification and management, using the web and traditional resources. 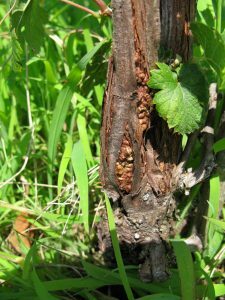 The goal of my extension program is to support stakeholders to make informed wine grape disease management decisions. The objectives of my extension program are to educate stakeholders how to better manage grape diseases that could reduce grape production. My extension program and my research program are integrated and share the same goals, which is the development of environmentally, biologically, and economically sound disease management strategies.